Dr Alister MacKenzie is my favourite golf course designer. I appreciate that many course designs are an amalgamation of ideas provided by architects across the generations, but having researched his life and history I hold the respectful view that he was nothing short of a golfing genius. 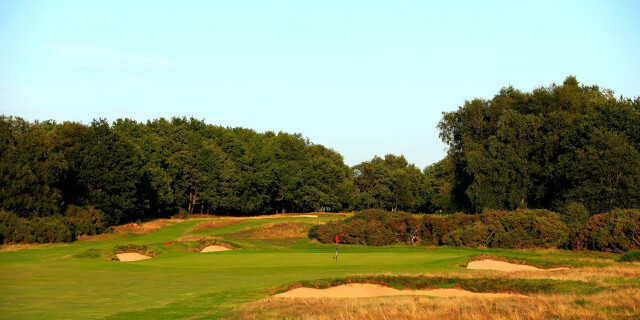 Getting the opportunity to play at his debut design - Alwoodley Golf Club - and home course was therefore a real treat. I was joined on the trip by the current Derbyshire PGA Professional Matchplay Champion Dean Hibbert. Neither of us had been to the facility before so I was very excited at the prospect. This is a top class venue that was very welcoming. The short game practice ground and range are superb. The training facility within the professional shop is state of the art and it is well equipped and staffed in a friendly manner for the visitor. This is a heathland course set high above Wigton Moor. At the time of its creation it was on the outskirts of Leeds. It is now an oasis within a busy metropolitan city. It sits next to Moortown and close to Sand Moor. As a golfing destination for a travelling golfer this is understated, but please take it from me, very, very worthwhile. The clubhouse is everything you would want to it be at a venue of this standing. 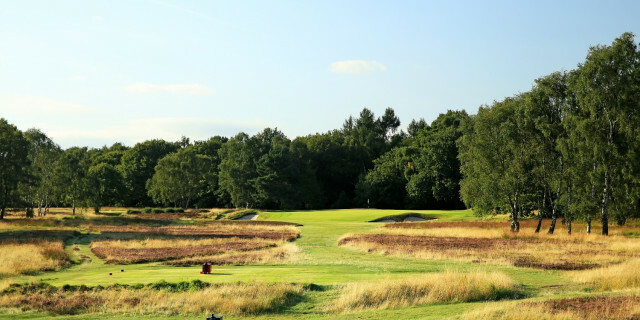 There has been a determined plan to try and return the course back to its original design and styling, utilising the good doctor's design concepts, and I think these efforts are to be applauded. Beautifully inviting from the tee. The entire length of the hole is out of bounds left to protect the extensive practice range. 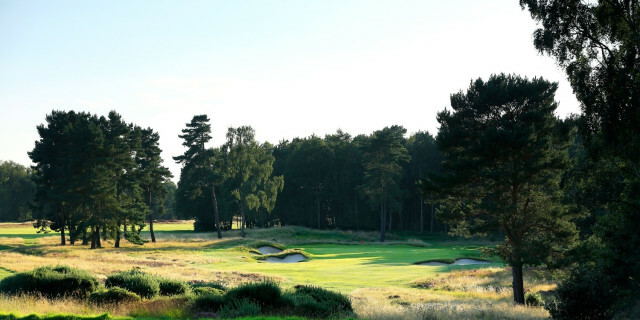 The well established tree line actually diminishes the impact of this fact because your eye is drawn immediately to the line of bunkers that patrol to the right hand side of the hole. Doctor Mackenzie loved to illustrate and emphasise the hazards and intimidate the golfer. 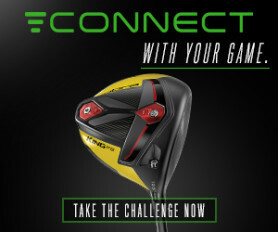 His genius is the provision of a series of different strategies for different levels of golfing competency. The green slopes from back to front and is framed beautifully by the surrounding foliage. This is a gentle opener. I picked up a great tip from Dean as we played this hole. Unfortunately, he only told me AFTER I had scored a 7 and he had scored another par on 17. As you walk to the green, please take a couple of moments to check the 17th green to your right. The approach to this green is blind and there is a severe slope to the front of the green that can play havoc with club selection. Spotting the pin position at this point will make the approach into the 17th so much easier. This is a visually stunning and superbly designed hole. I loved the effect of the heather edged depression in the middle of the fairway. It foreshortens the hole from the tee and makes it look considerably closer than it actually is. There are a band of five bunkers short, left and right that again loom large in the visual impact of the hole from the tee. This hole sweeps right to left in a dog-leg that is protected by phalanx of trees to its inner elbow. Any tee shot has to be shaped right-to-left to have any chance of remaining on the cut fairway grass. This is a challenging driving hole from all of the tee options. If the driving position is established then bunkers and a pinched fairway around the anticipated landing area add additional challenges for the second shot. 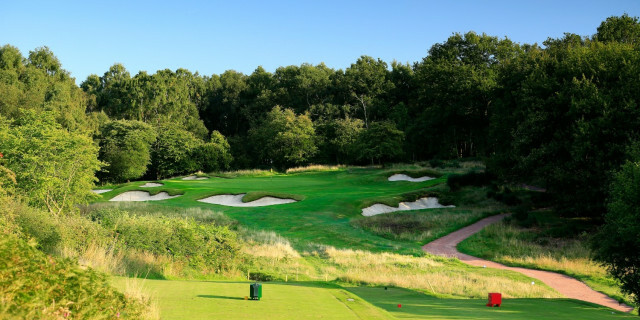 The bunkers are naturally shaped and formed and it is clear that if you find them they will prove to be a difficult challenge for extracting yourself towards the green. The green is well protected with bunkers and a series of swales and slopes, particularly to its front. Heather and gorse guard visually from the tee boxes for the shorter players. This visual intimidation from the tee is a real trademark of the good Doctor MacKenzie. The bunkers are positioned primarily short of the green and a fully committed shot is required to reach centre of the green. There is no real lay - up option unless you are confident of a playing a full lob shot that even Phil Mickleson would shy away from. All of the bunkers have natural edging. This is another beautifully presented golf hole. Another dog leg right-to-left with the elbow of the hole effectively out of bounds due to the preponderance of mature and heavy foliaged trees. A tee shot of 300 plus yards is required to the right of the fairway to allow any opportunity to try for the green in two shots. There is another pinch point to the cut of the fairway at the area where the layup shot would be expected to land. This area is at the top of a hill. Short of the green there is a stream that cuts across the fairway at a distance of approximately 50 yards from the approach to the green apron. This provides a deep swale to the front of the putting surface which again adds to the difficulties of any kind of a secondary approach to the target. Again it provides a challenge visually by altering the perception of where the green lies. This hole has been likened to the 13th at Augusta National, and I cannot disagree. The shaping and style of the hole really does have the Augusta feel about it. I genuinely have to pinch myself when considering that this was Dr Alister MacKenzie's first attempt at golf design. Visually this is a beautiful hole. It is genuinely distracting to stand on the tee box and consider your shot options. The bunkering is superb and the frame of tree’s to the rear is like an oil painting. The green slopes severely from right to left and therefore any shot into the green must be aimed at this area to have any chance of reaching centre green. Anything left is a real challenge given the ring of bunkers running from noon to six o clock on an imaginary clubface. Again this is a highly challenging but visually striking golf hole. OOB patrols the full length left supported by a wealth of mature trees and foliage. The fairway bunker to the right is magnetic in its placing whatever the tee box used. The green is at least 30 feet below the level of the fairway and this is where you try and remember the flag placement when playing the second hole. I didn’t and scored a 7 in a heart beat. Dean walked away with a superbly judged birdie. This is an exceptional finishing hole. The elevated tee gives a real panorama back towards the beautiful clubhouse. It is genuinely stunning. The bunkering on this hole is brilliant. They are all clearly visible from the tee box and seem to blend into an even bigger footprint than they actually possess. As soon as we had played this hole I wanted to do it again. It really is that good. I am told that most days this hole plays into the prevailing wind. As if a greater challenge was needed. This golfing journey and playing this course was a real treat for me. I have been a fan of the MacKenzie design philosophy and this course despite it being his first attempt, is an absolute gem. It utilises his theories impeccably and the visual tricks he plays with distance are simply superb. He was one of the first doctors ever to prescribe the playing of golf to his patients. His thoughts and theories now backed up by science and expensive studies. He served in the Boer War observing at close quarters the ability of the Boers to take on and defeat much bigger forces by the use of camouflage and trench construction techniques that made it difficult to assess distance to the soldiers through the use of false frontages to the defensive positions. Many of these ideas he saw were later incorporated into his design ethos. He was a global traveller and golf architect before the days of international flights. He used cruise liners and supported his passage by offering ball room dancing lessons to the patrons with his second wife He designed courses around the world including Australia, America, Brazil and Argentina. His first wife was an important member of Alwoodley and the divorce was a controversial one. This was a superb experience from start to finish. Leeds does not stand out as an international global golfing destination but it should given the quality of facilities available within easy reach of the City Centre. If this course isn’t on your bucket list it should be. It is an absolute joy to be able to play this three dimensional chess game with one of the world’s best golf course designers. 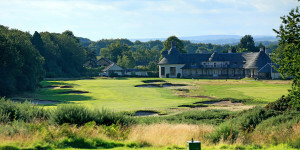 If you travel to golf in this part of the world please do not miss out on this course and clubhouse. Give yourself time to enjoy its tradition and heritage. The clubhouse is a cracker with a great food and welcome. We moved from the club to our accommodation for the evening; the nearby 4-star Weetwood Hall. We were provided excellent accommodation as part of our package with a superb Yorkshire breakfast thrown in as well. We sampled the excellent food provided by the in house restaurant and were in no way disappointed. This is an up market City Centre hotel that were experienced in the needs of the travelling golfer. They offered secure, supervised overnight storage for golf bags and equipment rather than leaving items in the car park overnight. One of my real bugbears when travelling with lots of golf equipment is the need to cart the bags into the rooms usually upstairs. This facility dispenses with this need and was welcome. This is an excellent venue for the travelling golfer. The following morning we set off to travel to Moortown for the second leg of our trip. 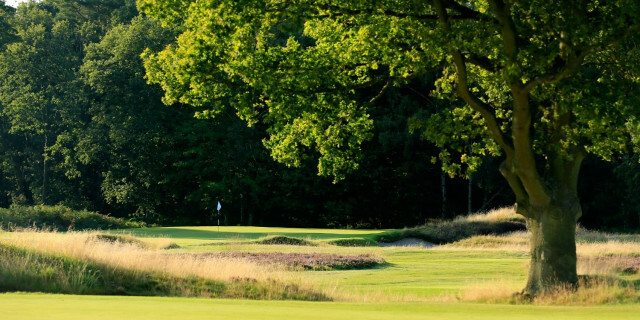 For just £189, golfers can play one course on a Sunday afternoon, stay overnight at the nearby four-star Weetwood Hotel and then play the second course the following morning. The clubs have joined forces to provide this great deal but demand is likely to be very high. Places are limited so that members are not being disadvantaged.